Size 22mm and 23mm. Double ended metric ring spanner. Bihexagon ring heads offset.. Size 18mm and 19mm. 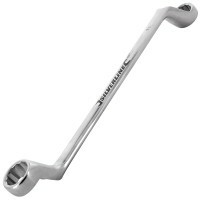 Double ended metric ring spanner Bihexagon ring heads offset ..
Silverline 442786 Deep Offset Ring Spanner Metric Features Size: 24mm and 27mm. Dou.. Size 20mm and 22mm. Double ended metric ring spanner. Bihexagon ring heads offset.. Size 14mm and 15mm. Double ended metric ring spanner Bihexagon ring heads offset .. Size 12mm and 13mm. 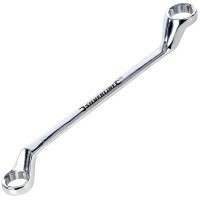 Double ended metric ring spanner. Bihexagon ring heads offset.. Size 16mm and 17mm. 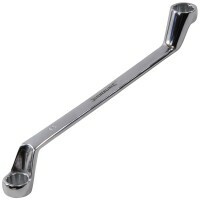 Double ended metric ring spanner. Bihexagon ring heads offset.. Size 25mm and 28mm. 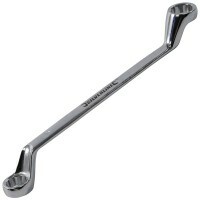 Double ended metric ring spanner. Bihexagon ring heads offset.. Size 30mm and 32mm. 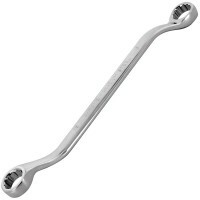 Double ended metric ring spanner. 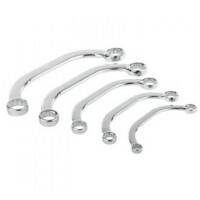 Bihexagon ring heads offset..
Silverline 945235 Obstruction Ring Spanner Set 5 Piece Features Set of 5 double ended C s..